Short Term Trading forex trading links forex trading books market statistics trader values euro and us dollar Shocks Crashing France and Germany Alliance is at Risk. France and Germany Alliance is at Risk. Mr. Sarkozy is lagging behind in the pools and might change his tactics to be re-elected. The populist, anti-euro message is gaining consensus and rightist National Front of Mrs. Le Pen could be the big surprise in France elections. What will the euro/usd do? Just few months ago, after the U.S. lost the triple A status, the French prime minister was quite sure under his leadership France will not lose its “national treasure”, the AAA. It was a tactical mistake, considering the coming elections. At that time, the vast majority of French citizens did not know what the triple A meant for the country. Well, they do it now. France rating was slashed to AA+ from AAA and other candidates are blaming the government for the debacle. Things are not going well for Mr. Sarkozy. If elections were due on January 22, 29% of respondents to an Ipsos poll for “France televisions”, “Radio France” and “Le Monde” said will support the Socialist candidate Francois Hollande. Sarkozy will finish only second with 23%. The rightist National Front of Mrs. Le Pen is third by a tiny margin. The populist, anti-euro message is gaining consensus and will levitate in the coming months. In 2002, Mr. Le Pen (the founder of the party and father of the actual candidate) lost against Chirac only in the last runoff, after gaining almost 18% in the first-round vote. Like today, the euro was declining and the economy was moving into recession. After ten years, however, more angry citizens could vote for Mrs. Le Pen and there is a chance she could fight until the end. It would be the first far-right government after WW2 and would create a dangerous precedent in Europe. National pride is broken and needs to be restored. 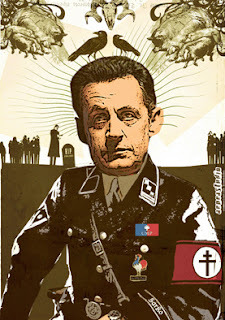 Mr. Sarkozy might change tactics, in order to be re-elected in April/May vote. How? The alliance between France and Germany could be transformed into a deadly dualism. Mr. Sarkozy might start to take more unilateral initiatives like the introduction of a tax on financial transactions. Despite a possible rebound to 1.30/1.32, the euro should remain weak for the first part of the year. Greece could shortly collapse and the French elections are around the corner. Then, the attention will be focused to the U.S. elections and maybe the euro could start to design a bottom again.